After a friend shared a profound experience he had working with Dan, I went to see him as a client. I was amazed at Dan’s ability to help me work through things in one or two sessions that would have otherwise taken me years. Aside from the speed at which Dan was able to add value to my life, I also appreciated that he didn’t try to keep me as a client forever (quite the contrary actually) and clearly had my best interests in mind. Months later I had an idea for what is now Expectful - a platform that makes it easy for hopeful, pregnant, and new moms to meditate. I reached out to Dan to see if he could help create world class meditation scripts, and he partnered with a colleague of his (a new mom) to do just that. Today our users rave about the quality of the meditations we produce, and Dan’s work is a massive part of the reason why. Dan has also brought amazing people into my life through his personal and professional networks, one of whom is now an irreplaceable member of Expectful’s team. EXPECTFUL is a guided meditation app for fertility, pregnancy, and the motherhood journey. MINDSET is a corporate wellness and mindfulness program created and designed by Daniel Ryan and Charyl Devoe-Nietfeld with McCann Health. Daniel implemented and co-led the pilot which launched with McCann Managed Markets in 2015. The test run yielded phenomenal results and a desire for more learning and interaction. Working with leadership at McCann, Daniel and Charyl, have since developed a comprehensive annualized program to accommodate their teams at every level. Helping people work smarter, relax more authentically, and develop a sustainable culture of shared satisfaction. Based on their combined experience and the uniqueness of their training, Dan and Charyl are innovators in the mindfulness space making Mindset one of the most creative offerings available amongst wellness programs for businesses. SPIRAL INDUCTION by Tauba Auerbach and David Reinfurt. SPIRAL INDUCTION is a work by Tauba Auerbach and David Reinfurt published by O-R-G and originally commissioned by Kadist Art Foundation. Available for purchase as a screensaver now. Text from the event: The computer is already a hypnotic device. Staring at a fixed focal length, scrolling, and swiping all induce what hypnotherapist Daniel Ryan calls “subtle learning states.” And on the screen, what we repeatedly learn is a bent set of values including ravenous consumerism, preposterous ideas of hierarchy, gender, beauty, and spirituality. We consume these more deeply than we realize. Hypnotists have used pendulums, repeating sounds, vanishing points, particular vocal cadences, and a variety of other means to produce a state of consciousness and brain activity marked by calm focus and extra sensitivity to suggestion. The process these tools facilitate is called “induction.” Can we use the screen to hypnotize in a kinder way? To prompt specific eye movements, to pulse at certain rhythms, and invoke gestures that calm, or heal, or produce clarity of mind? Left-right eye movement is used together with restorative messaging in EMDR therapy to treat post traumatic stress disorder and the counter clockwise spiral is often associated with a cooling, more female aspect (though it's rarely so simple). This screensaver attempts a more benevolent induction. Founded in 2015 by Daniel Ryan and Andrew Kippen. Devoted to human-first thinking for the workplace, Interrupt offers destination trainings, workshops, learning labs, and customized experiences for entrepreneurs, businesses, and individuals. While helping people and organizations become more mindful, we cultivate new and dynamic strategies for building a culture of shared employee wellness. We believe that divesting shared employee wellness from shareholder value is one of the greatest and most worthwhile challenges of our age. And it's one we're particularly keen for. Premiered and offered as a series with The Assemblage NYC. A 120-minute learning lab for experimentation and creative play. Guided practices used as tools to access unconscious inspiration. A subtractive approach suggesting that through removing inessential layers in the physical or abstract, what is naturally present can be allowed to do the work. Whether there is a current project active or new ideas are sought, creativity is always available. Through practices based in meditation, hypnotherapy, and regression therapy, we will be actively exploring trance and using the experiences / states to write. Writers, artists, executives, and entrepreneurs of all disciplines and backgrounds come together and discover new pathways to flow, innovation, and productivity. 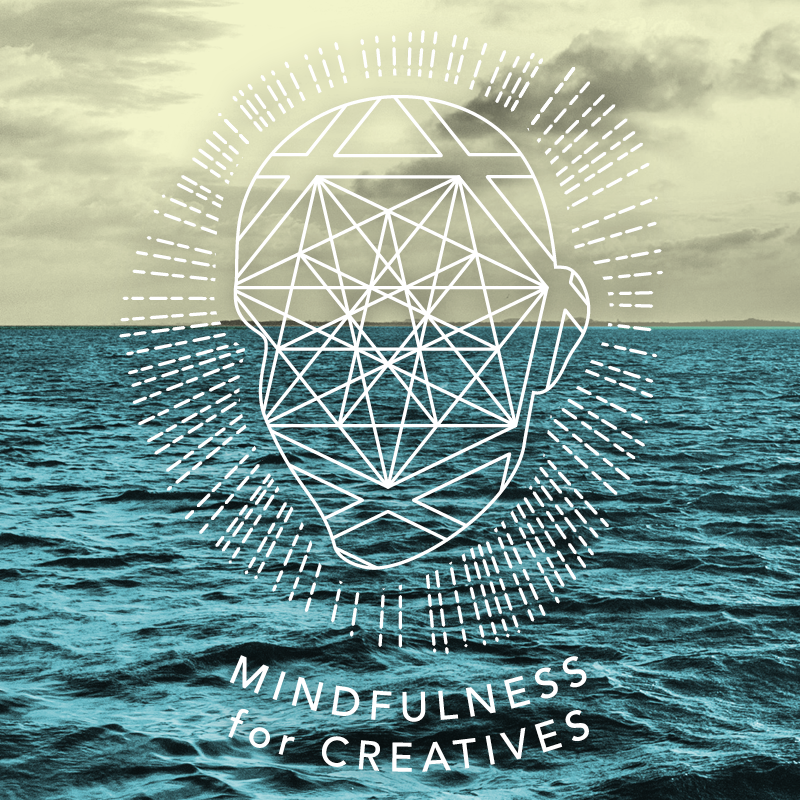 Created in 2016 with Annika Howe, creator of theproducer.com, Mindfulness for Creatives was a monthly meeting of inspired minds. Engaging New York City's dynamic creative community, we would meditate, share, talk, and connect. Driven by creative awakening and a desire to discover something new and different, we sought to provide some clarity to the mysteries looming in our modern information-driven minds and return to a balanced sense of wholeness in each other's good company. As a meditation, this was a relaxed acknowledgment that we all tend to work hard, and play pretty hard too. We offered that perhaps even in the city - even hiding somewhere in our minds - was a softer place where energy could be restored. Through a guided meditation performed by hypnotherapist, Daniel Ryan, viewers are invited to construct a 'memory palace' as they experience Walter Gropius's iconic Fagus Factory. The film offers an opportunity to soothe anxieties around technology's effects on the body and workplace, and to consider the relationship between memory and architecture. An artist in the fields of video, sculpture, and performance, Ben Thorp Brown's work explores the ways that human experience is transformed by technology and capitalism. Gropius Memory Palace guides the viewer through the Fagus Factory in Alfeld, Germany, one of the earliest designs of Bauhaus architect Walter Gropius. Built in 1911, the Factory continues to produce shoe lasts, a form in the shape of a foot for constructing footwear. Defying economic logic, hand-crafted production is still practiced today alongside automated manufacturing techniques. Brown uses the factory as the backdrop for the examination of shifts in technology and the workplace. Through a narrated meditation, Brown invites viewers to experience the Fagus Factory as a memory palace—an imaginary place in the brain for organizing and storing memories. Brown's reflective journey through the factory reminds us that the body itself is akin to technology, as our perception is constantly reorganized by modes of production, memory, and history. Art in America Review here. Directed by five independent filmmakers as they interpret each other’s dreams in “Collective Unconscious,” an omnibus feature whose intriguing premise bears fruit in a diverting, diverse array of idiosyncratic miniatures. Variety called the film "a successful experiment" and SXSW premiered the film to an unexpected level of attention and praise. Executive Producer, Dan Schoenbrun, explained the premise to me and I was instantly intrigued. During shooting, I offered 20 minute on-camera sessions of hypnotherapy to each of the filmmakers. Only a couple minutes of this footage was necessary for the final cut, but in what we shot and left on the cutting room floor I remember a beautiful short film of each director's openness, personal narratives, and generosity. Poster designed by Dailey Crafton and Lockstep Studios. Going deeper into guided techniques and imagination games as creative tools, this weekend workshop offered over the course of 2015 had attendees evaluating their unconscious beliefs about themselves as artists, confidence (or lack thereof) in their minds as instruments, and practices when working. Students were asked to bring in a project, either personal or professional, and drive it towards completion over the course of the weekend while tracking progress and optimizing workflow. The show of work on Sunday was transformational. It's incredible what can be done in a weekend - it's just a matter of doing it. Poster design by Dailey Crafton and Lockstep Studios. This learning lab offered in the Spring of 2014 at the Shillington School of Design in Manhattan was an early exploration focused on developing techniques and methods for visual artists. In collaboration with graphic designer and anarchic firebrand, Dailey Crafton, we were interested in bringing an expansive, perhaps even psychedelic, experience to his students without need of any substances besides the breath and our senses. Through guided practice, curated material based in Jungian, archetypal symbology, and the metaphors in past life regression, we dove into the creative source of the subconscious mind like an ocean and returned to the surface having found buried treasure. The WOOM CENTER in NYC. A series offered in the supersonic, extra-sensory laboratory that is The WOOM CENTER located on the Bowery in NYC, Past life meditations are my way of introducing people to guided metaphors in the mind. Curated from ingredients like guided meditation and creative visualization, benefits may include a quiet mind, inspiration, and old fashioned chilling out. We explore the subject of reincarnation from all sides and compassionately wonder if we're all seeking to be reborn into our own lives right now. It is intended as a neutral, if not a skeptic's introduction to past life regression. (Skepticism being encouraged, if not insisted upon.) As Voltaire says (paraphrasing): "It is not strange that we'd live more than once, everything in nature is resurrection." This community creative meditation was held on Wednesday mornings in the backyard of Lockstep Studios in Williamsburg, Brooklyn, from 2013 to 2015. Lockstep offers gorgeous graphic design to businesses big and small. The husband and wife team of Dailey and Cindy are legendary for their hospitality. A group of friends would gather to discuss philosophy, the meaning and purpose of design, our sources of inspiration, what was exciting us, and share a little good company before going to work. You would have liked it. A 6-part series In collaboration with Evolver Learning Lab, Daniel hosted and interviewed five of his favorite minds for a six-week series on contemporary points of view on Past Life Regression. Discussing hypnosis with award-winning author and founder of the Center for Integrative Hypnosis, Melissa Tiers - Sacred symbology and spiritual design with artist, musician, and designer, Sadek Bazaraa - Regression Therapy and Inner Child Work with pioneer and thought leader, Patricia Caetano - Sound as generative force of the universe with speaker, guide, and modern mystical physician, Alexandre Tannous - Buddhism and Eastern systems of the afterlife with teacher of philosophy and meditation, Hector Marcel... The series culminated with a session lead by Daniel, a talk on his points of view, methods, and a guided experience. The series was offered online in March of 2016 and can be downloaded here. An Interrupt initiative in collaboration with then-CEO of the New York Tech Alliance, Jessica Lawrence-Quinn, and premier executive coach, Karin Bellantoni. The Human Tech Meetup was an event series and learning platform devoted to helping companies divest shareholder value from shared employee wellness. The mission of putting the humanity back into the tech industry starting with NYC continues. Joanna lead the class as I offered meditation, hypnosis, and past life regression to the actors as tools, exercises, and support. Meditation, hypnosis, and past life regression for actors. Meditation is known to relieve stress, increase relaxation, and promote states of flow. Hypnosis and hypnotherapy are known to enhance performance and aid in memorization, also benefitting improvisation. Past Life Regression accesses a kind of storytelling machine in the subconscious mind. The narratives that are unlocked are instantly familiar and strange, deeply immersive, dramatic and emotional. Offered over the course of 2014 and 2015, I had the pleasure of teaching beside the wise and wondrous, Tony-winning actress, Joanna Gleason.